As part of our first assignment in Seattle Central’s 1st yr Commercial Photography program, students were asked to photograph an object using existing light; meaning no false lighting, only the sun, a reflective surface, and our innovation. 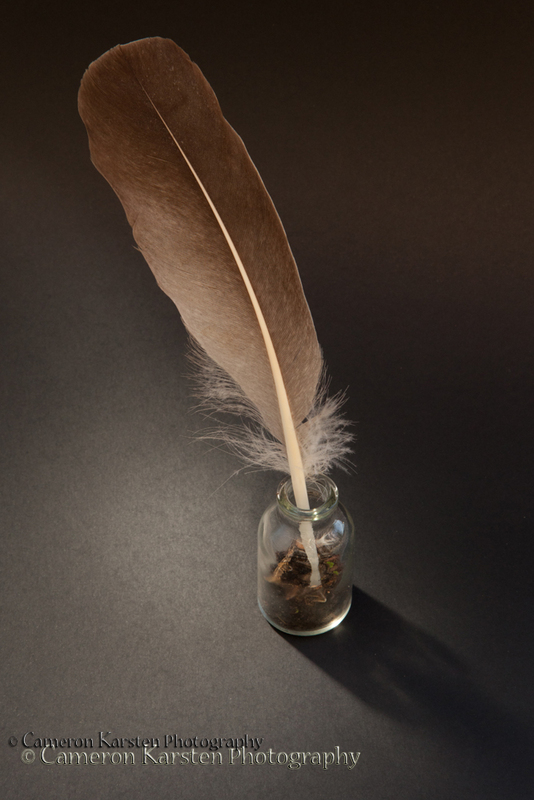 I chose a feather resting in a small glass jar to represent a writer’s quill photographed as a still-life. The above image was created using a sheet of black construction paper as a seamless, with the sun at camera right and a reflector placed 90 degrees on camera left. 105mm, 1/60 sec at f/22, ISO 800, tripod mount. Nice use of light there.